According to an article in the Business Standard it takes nine years to master the cryptic crossword. They report it’s not just basic intelligence, it takes experience to become a true master. It takes nine years to grow a devgad mango tree, rather than just planting a seed it begins as a small twig from the mother plant. There’s a nine year process before the grafted twig then becomes a fruit baring tree. 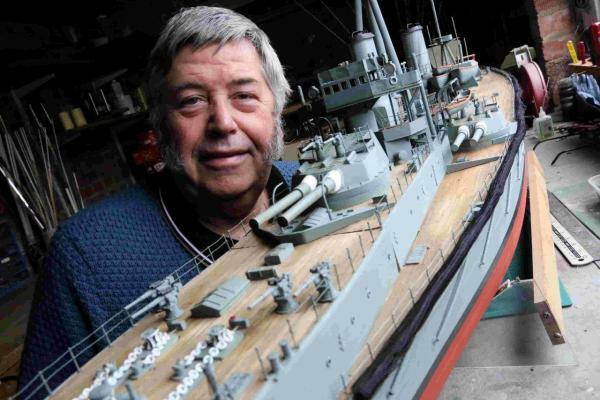 It took this man nine years to build his HMS Dreadnought replica. I found this last week inside an old book, I must have been using it as a bookmark. 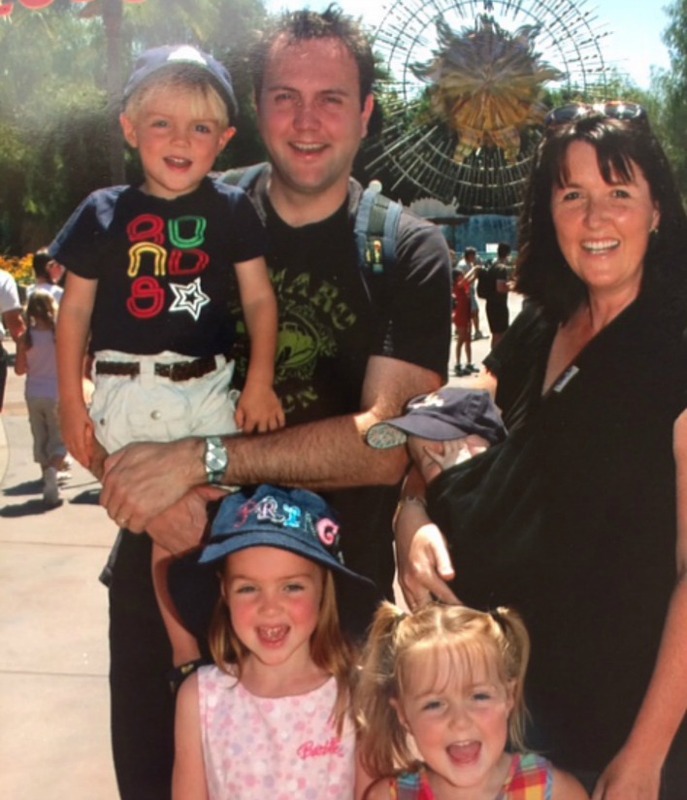 It’s us, at Disneyland, nearly nine years ago. Henry Hotdog is about two months old, his little hand is poking out of the sling. I believe he’s trying to signal for help. I imagine he’s wondering at that point why anyone would choose a black sling in the height of an Anaheim summer. Has this woman not done the whole baby thing before? Does she realise I’m melting in here? If I hear it’s a small world one more time I’m heading back to the womb. We were living in Calgary when this shot was taken. I was a few months away from returning to the office, sling free, I handed the sling over to our newly recruited Nanny just before I did high kicks out the door. High kicks no doubt with a dried up cheerio stuck to my bum. Every child in this shot has their baby teeth, we are yet to know the excitement of the toothy fairy. Weekends are spent learning how to ride bikes and trikes and shopping in discount supermarkets. Soccer and dance are our sports. Lizzie was still letting me put her in a dress, it was just before she called a moratorium on the colour pink. Annie is yet to put the scar on Henry’s forhead and knows nothing of the further six ear operations to come. At the fireworks that evening they watched in awe, absolutely certain that Tinkerbell had flown through the sky unassisted. I cried in the middle of those fireworks, a happy cry that only a mother understands after a frozen margarita on a hot day in the middle of a wonderful family holiday. I was hashtag grateful, and perhaps slightly tipsy. It truly was the happiest place on earth for my guys, they were complete believers. As the music of the cannons and the voice of Julie Andrews co-incided with the thunder of the lost boys battle with the pirates Fred screamed at the top of his lungs “Take that Captain Hook you big fat baddy”. 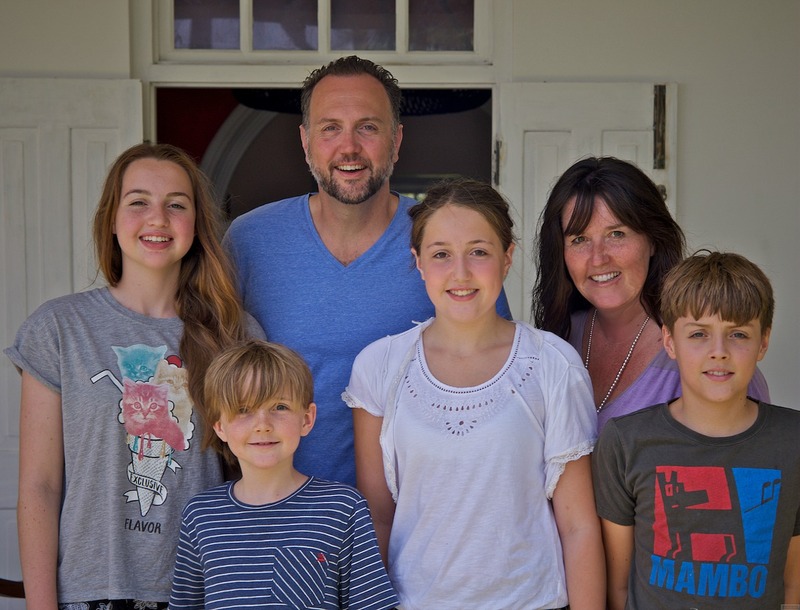 This is us now in our natural state, no make-up, unshowered and at the end of a week long holiday in Sri Lanka. Almost (in August) nine years later. Our holiday now involves devices, devices that will play youtube clips and music. A single headphone bud is inserted while another dangles on the opposite shoulder. While the bigger kids scroll through Instagram and Snapchat, the little people master Minecraft while imessaging friends all over the world. I walk past Fred and notice he’s skyping with a friend in Scotland. When the screens are put down we snorkel, swim, laze, talk, read, throw a ball and eat together. The tooth fairy still comes although she is often late and full of excuses. The Easter Bunny knows exactly what to bring through experience and Father Christmas negotiates requests “Do you think if I asked Father Christmas…” Our belief system and cult following has moved from Ariel and Snow White to 5SOS and the Port Adelaide Football Club. We dream of making the softball team, getting an A in math, and being able to rap the entirety of Ice Ice Baby. Stop, collaborate and listen…We talk about food, everyday sexism in school and why friends from Palestine don’t have a passport and have travel bans in certain countries. With the arrival of teens and tweens the questions are often more cryptic. What are you really asking me? Four across doesn’t fit with six down. Two parties, one math test and a sleepover just doesn’t fit in the boxes allowed. Hidden words are considered. Is this an emergency or something that will pass. Choose your battles wisely, watch out for rapid escalation. What was the question again? We’ve changed so much in nine years, it’s impossible to master with its new rules each day. I guess that’s what’s made it so interesting yet frustrating, exhausting and emotional. I can’t grab it or hold on to it without it changing form into something else. That was us then, this is us now. What has nine years done to you? Care to share? What did life look like then as opposed to now? I’d love to see/hear.